There's been a lot of hype on Benefit's Instagram recently, with the brand teasing sneak-peeks of their 'biggest launch ever' under the tag #OutOfThisWorld almost daily for the past fortnight. Like many beauty fanatics I was expecting something really special, possibly a whole new collection of products (similar to the big brow product launch in 2016) or a palette, and found myself a little disappointed when on Thursday it was finally revealed to be... a mascara? And not just any mascara at that, but seemingly a re-vamp of a product more frequently found in the reduced section of TK Maxx than any self-respecting beauty blogger's makeup bag - BADgal Lash. I've delved deep into the beauty blogging archives and have found references to BADgal from as far back as 2003, which seriously made me wonder why they were putting so much effort into re-branding and heavily promoting it. It's stranger still when compared to the super-soft launch of their newest primer, Porefessional Pearl, which just appeared from nowhere on Boxing Day last year without any prior warning or marketing ploys involved. Even so, I was becoming increasingly excited to get my hands on the newly reformed BADgal BANG! as my favourite Roller Lash mascara had run out earlier in the week. I got myself straight down to Debenhams the day it was released and it was in my hands less than 24 hours after the initial launch. I was champing at the bit to be the first unpaid blogger to review this mascara before anyone else. So... what do I think to it? First of all, Benefit has really upped their packaging game with BADgal BANG! mascara. The tube itself has a sleek, matte black finish, similar to the packaging of NARS or MAC products, and is a world away from their usual plasticky, pastel colours. The text is a metallic hot pink and silver combination, and it honestly just looks badass. The lid of the wand has ribbing similar to a grenade or bullet, which adds to the whole 'bad girl' aesthetic. The wand itself (aka the 'Slimpact! brush') is amazing. It has '360° reach' which coats every lash, ever the little random blonde ones in the inner corner of your eye. I put my mascara on by blinking, but this wand is definitely a wiggler in order to utilise the 300+ tiny bristles that separate each lash. 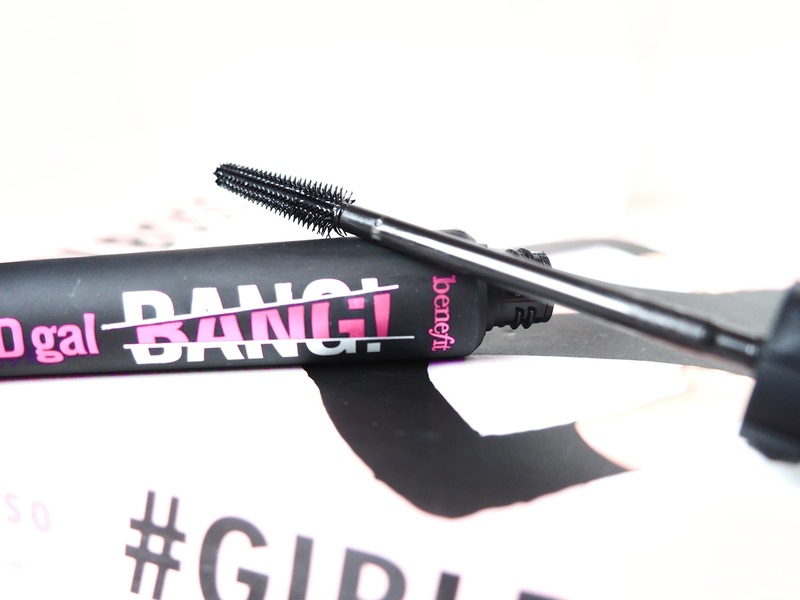 I thought Roller Lash was the best mascara in terms of separating and defining each individual lash, but BADgal BANG! has it beat. Formula-wise, this mascara really is banging. I cringed a little writing that, but it's true, and I'm really excited about it. BADgal BANG! contains 'aero-particles derived from space technology'. In english, this means that the formula is super light and doesn't become clumpy or weigh down lashes, which is pretty dreamy. It is also the blackest mascara I have ever come across. 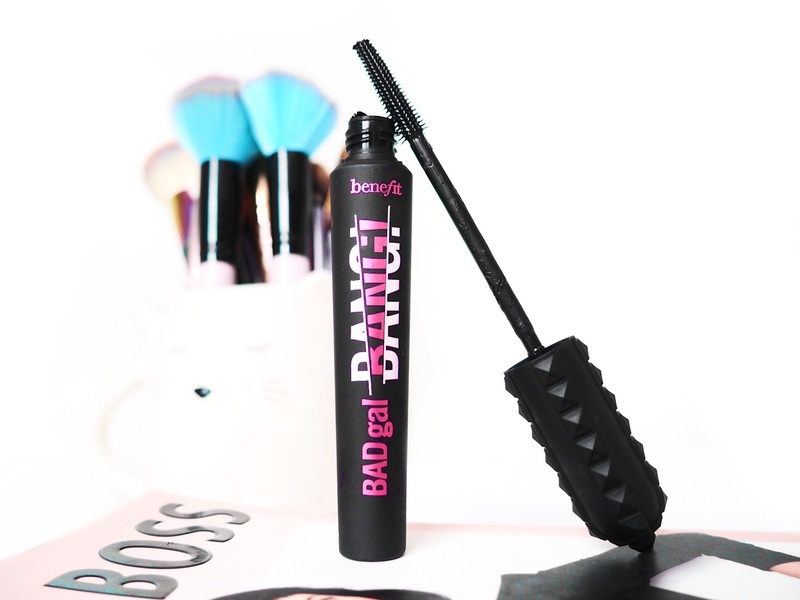 Usually when applying mascara, it takes a few layers to get a true 'black' colour (it's especially noticeable on me as my lashes are very fair) but I found that BADgal BANG! gave an intense black colour to my lashes on the first swipe. Benefit claim that this mascara has '36 hour full-blast' volume, and I can confirm that this mascara lasts a hell of a long time. I first applied it at 9pm in the evening, and it was still going strong at 11pm the following night. (Yeah, I slept in my mascara for you guys. I hope you're pretty damn grateful.) On me BADgal BANG! mascara lasted an incredible 26 hours without smudging or flaking, and it probably could have gone longer if I was willing to sleep in it another night. I can see how this kind of long-wear would be amazing for party girls who are at the office the next day, or anyone who is on a long-haul flight and still wants to look amazing on arrival. When it came to removal, I was so happy that it came straight off with a bit of They're Real remover and didn't smudge all over my eyelids like some mascaras tend to do. I didn't actually try removing it just with water, however as this mascara is water-resistant it may be a bit of a difficult task. Overall? Believe the hype. BADgal BANG! really is as great as it's marketing team say. I would 100% recommend this mascara to anyone looking for great length, definition, and jet-black lashes that last all day without reapplication. Will you be going to infinity, and beyond? Doesn't it just look badass? I've actually been looking for reviews for this! How do you think it compares to the Benefit 'roller lash' mascara? I was a bit disappointed when the big launch was ANOTHER mascara, but I have been dying to get my hands on this as it does look awesome! Also, I love your photos of the product! They look so good! Right? I thought it was so random that the marketing was so huge for a single product, but after trying it I feel it was worth the build up! Fab review and great photos! I'd love to try it out but I just can't bring myself to spend that much on a mascara when you can get so many fab ones in the drug store! Thank you darling! Very true, but I definitely think this is worth it! I am going to have to try this. I'm a fan of the brand's mascaras. I might pick it up tonight! I hadn't heard they were doing a new one so thank you! Haha. 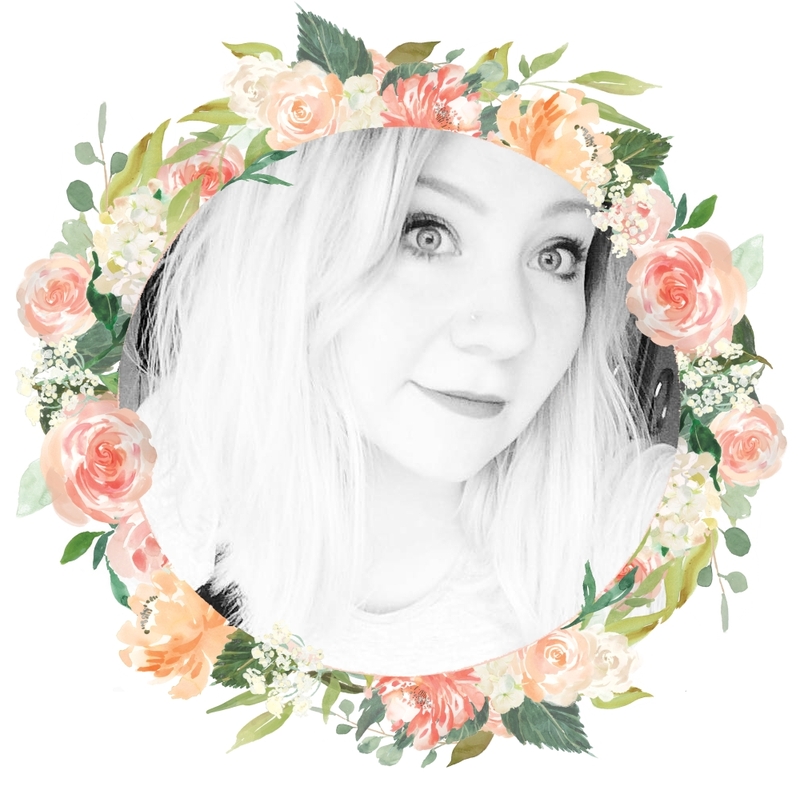 I've tried the Roller Lash mascara before and was pretty impressed with it but I couldn't really justify the price on it when I had tried other mascara's that were quite a bit cheaper that were just as good. This one sounds really nice though! May look into it a bit more! You're welcome! I would 100% recommend! I'm with you there, the promo pictures are awful! I'll be updating this review with pictures at the weekend so you can see it's nowhere near like that! I can’t wait to try this! I love benefit, my favourite make up brand! It's truly fabulous, I really like it! Seems like a great mascara to invest in! As far as I know most of the Benefits mascara are great so investing a little bit of money on to a high-end mascara seems worth it! Sounds like this one is definitely worth the hype! Amazing review, I’m in awe of how detailed you’ve been about on product! Personally I wouldn’t pay that much for a mascara but I’m not hugely into my brands anyway! I completely agree with you too, it is so damn good! It sounds great, but not sure I can justify spending that amount of money on something I'll use tops once a month! Maybe when I start wearing make up more it will be something I pick up as it sounds great!